All About the next generation mobile phone, the iPhone. Explains simple semantics of writing for loops in php. Has an example of getting alternate color table cells with a for loop. This tutorial is aimed towards beginners and students. The how and WHY of commenting. This article is aimed for beginners and college students learning PHP. Explains a bit about php arrays. For example working with associative and multidimensional arrays. This is a nice price for a 500GB SATA hard drive. Anyone have any experience with this? I like to save on stuff i buy online. I'm a huge shopper of consumer electronics online and i like to save on stuff i buy and i know everyone does. After seeing how hard it is to go around site to site comparing prices, i decided to come up with something that will help people like me get the best deals out there. So, i spent some and came up with this site. I will update it soon. Big news of the day: Cisco who filled a lawsuit against Apple have agreed to allow Apple to share the name "iPhone" for their new upcoming mobile phone. But both companies wants to now explore on "interoperability" to work together to make the two technologies work together. "The companies said Apple will be allowed to use the name in exchange for exploring wide-ranging interoperability between the companies' products in the areas of security, consumer and business communications." Officials from both companies didn't comment further on the announcement. "No other details of the agreement were released, and representatives from both companies declined to comment beyond their short joint statement." Cisco whole filled the lawsuit last month in San Francisco federal court when they threatened to demolish Apple's use of the name "iPhone" for their new multipurpose mobile gadget. The Apple iPhone is planned to go on sale in June with a retail price starting at $499. "Cisco has been using the trademark since last spring on a line of Linksys phones that make free long-distance calls over the Internet using a technology called Voice over Internet Protocol, or VoIP." So what this mean for the Apple iPhone? Well Apple can keep the name and Cisco can now gain from the introduction of Apple iPhone by integrating their linksys iPhones and technolgy with the Apple iPhone and take the market-share with apple. If there is someone good at mocking or as they like to call it reverse engineering things, it's the Chinese. From fighter jets down to simple toys, China always has been at the fore front of copying technology. But hey, you got to give it to them. They do a pretty good job at it. Anything new in the market, chances are there is probably a Chinese knock off of it already selling in Asia and it is no exception for Apple iPhone either. Take the Meizu M8 phone for instance, which with all due respect, is a nice looking piece of device but somewhat looks like the Apple iPhone. 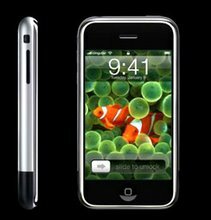 Welcome to iPhone Newswire - Your unofficial site for all the information on Apple's new generation mobile phone, the iPhone, featuring iPod, internet and phone and more, all in one device . 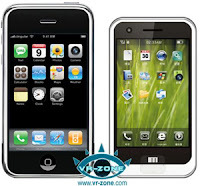 On this site you will gain information on what iPhone is, iPnone capabilities, iPhone features, iPhone technologies and iPhone pricing and availability. Keep yourself updated with the latest iPhone news, trends and rumours. Also check out the latest updated iPhone pictures and videos and much more.